Hey Tapscape readers, today I’m back with another great review for you. Especially if you’re already really looking forward to making plans with your friends and family this summer vacation, this app will come in really handy. 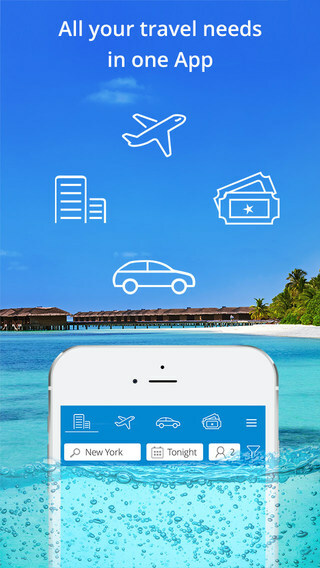 Last Minute Travel Deals, the app we’re reviewing, is developed by Travel Holdings and its a splendid tool for planning everything you need for an awesome time. Booting up the app for the first time, it’s immediately clear how beautifully the app is designed. With a lush interface that’s easy to navigate it only took me seconds before knowing how the app could help me. Last Minute Travel Deals offers you options for travel and bookings worldwide—whether it’s a plane flight you are in need of or a simple car ride from the airport to the hotel. The list doesn’t end here, however, as Last Minute Travel Deals also offers you insight into activities that are planned at your respective destination. Other options are hotel bookings (with exclusive mobile deals!) and everything you might need to make your travel a hit. Like I said before, the app is really well planned out but there are some really nifty things that can be done with this app as well. 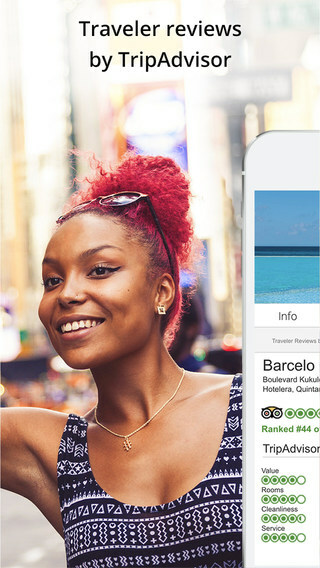 You can even customize your own map and list view for a much more personal experience and for every accommodation the app offers there are tons of reviews available from TripAdvisor build in. Payment and bookings are done easily via credit-card and the app makes sure you always find the easiest way to your destination. This is why you can set up your own account with information, making it even more easy to arrive at your hotel or transport with incredible ease. 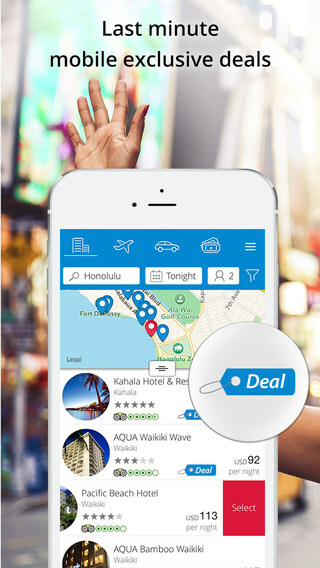 Beautifully designed, full of possibilities and always at your fingertips—Last Minute Travel Deals is an extremely clever tool for seeking activities or accommodations while on the road. Did we mention the app is completely free? There really isn’t a reason why you shouldn’t try this app, especially when you’re thinking about hitting the road with friends or family this summer.